Did the Ice Storm Damage your Home? We Can Help! The winter season – even in Murfreesboro, Tennessee – can be damaging to many homes and properties. Between frigid temperatures, high winds, snow, ice, and freezing rain, home or business owners may have noticed significant damage to their properties. Whether the recent winter weather left your roof, deck, fencing, or other parts of your home damaged, we can help! Everyone knows that it is not safe to be outside during winter storms. However, while you’re seeking refuge inside the weather can still wreak havoc on your home. Winter storms can create everything from leaky pipes to collapsed roofs. 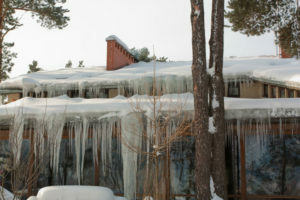 After a severe storm, many homes are at risk of an ice dam forming on their roofline. Because of the heat from the home, the snow or ice on the roof may melt faster. As the water trickles down the roofline it cools again, forming an ice dam along the gutter line that prevents additional moisture from draining. Water built up behind ice dams can seep into the roofing materials, insulation, or frame of a home, causing water damage. In addition, the weight of the ice on the edges of the roof may cause gutter damage. Likewise, heavy snow or ice accumulation can stress roofs, even causing them to completely collapse. Two feet of snow can create as much as 38,000 pounds of pressure on a roof. The most obvious sign of a stressed roof is sagging; if you hear creaking, groaning, or cracking, vacate the building as quickly as possible, as these are often signs of an imminent roof collapse. There are a number of steps homeowners can take to protect themselves and their homes when the temperatures drop. 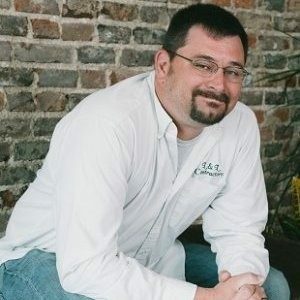 Frozen pipes: Unlike in the North, where pipes are well insulated and able to withstand the cold, many Southern builders do not insulate pipes and plumbing the same way. Outdoor pipes, such as those to pools or sprinklers, as well as those in uninsulated areas such as basements and crawlspaces, are particularly vulnerable to the cold. To prevent pipes from freezing and bursting, allow at least one faucet to continually drip cold water. Likewise, drain water from pools, hoses, and sprinkler lines per manufactures instructions. Thermostats: As a way to save money, many homeowners dramatically lower the temperatures in their homes when they will be gone for extended periods of time. However, turning the temperature down to anything below 55 degrees during winter weather can actually have a negative impact on your home as most interior furnishing and appliances are not designed to withstand anything much below “room temperature” conditions. Instead, leave thermostats around 60 degrees when you plan to be gone for longer than a day, and only alter temperatures by a few degrees to maximize energy savings when leaving for several hours. Roof safety: During heavier-than-normal period of snow and ice, clearing the roof may be necessary to protect your home against roof collapse. In addition, insulating attics can prevent the temperature differentials that create ice dams. Wooden decks, especially older decks or those with existing structural issues, can also collapse under the heavy weight of snow and ice, and should be cleared as often as is safely possible. If your home was damaged during this winter’s heavy snow and ice storms, contact L & L Contractors today! Our expert team can help you restore your home in time for the arrival of Spring!